Conferenceseries LLC cordially invites participants from all over the world to attend 10th International Conference on Chemistry Education and Research, scheduled during June 21-22, 2018 at Oslo, Norway mainly focused on the theme “Contemporary Advances and Innovations in Chemistry”. Chemistry Education conference aims to bring together the prominent researchers academic scientists, and research scholars to exchange and share their experiences on all aspects of Chemistry. Chemistry Education 2018 is a unique opportunity to discuss best practices within the laboratory research and those in other related fields of chemistry. There will be many seminars, workshops and technical sessions take place which will catch the attention of the professionals to attend the conference and it would enormously enrich our knowledge in understanding the current innovations and trends in chemistry. 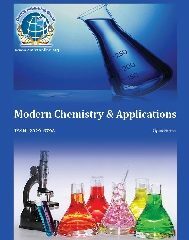 10th International Conference on Chemistry Education will focus on many interesting scientific sessions and covers all frontier topics in Chemistry which includes Chemistry education, Analytical Chemistry, biochemistry, Clinical Chemistry, Electro chemistry, Green Chemistry, Environmental Chemistry, Forensic Chemistry, Industrial Chemistry, Geochemistry, Medicinal Chemistry, Material Chemistry, Nanotechnology, Organic Chemistry, Inorganic Chemistry, Natural products Chemistry, Food Chemistry, Nuclear Chemistry, Polymer Chemistry, Plasma Chemistry, Physical chemistry, Computational Chemistry, Plasma Chemistry and many more. The conference also includes Keynote presentations by prominent personalities from around the globe in addition to both oral and poster presentations. On behalf of Chemistry Education 2018, ConferenceSeries is glad to invite contributions from the enthusiastic academicians, scientists to organize International Symposiums/Workshops that are both empirical and conceptual in exploring new dimensions of chemistry. Analytical chemistry is the study of instruments and methods that are used to separate, identify, and calculate matter. Analytical chemists use their proficiency of chemistry, instrumentation, statistics, and computers to solve problems in all areas of chemistry. Analytical chemistry comprises of classical, wet chemical methods, modern instrumental methods. Quantitative analysis uses mass or volume changes to quantify the amount of analyte in the sample. Instrumental methods are used to separate samples using chromatography, electrophoretic methods. Analytical chemistry is also concentrated on experimental design, chemo metrics, and the development of new measurement tools. Analytical chemistry has broad applications towards food analysis, forensic study, medicine, science and engineering. Bioanalytical chemistry is a sub-discipline of analytical chemistry that encompasses the separation, detection, identification and quantification of biological samples in different scenarios. It regularly involves the study of molecules such as proteins, DNA, peptides and drugs. Europe: European Chemical Sciences, Belgium; Society of Austrian Chemists, Austria; Royal Society of Chemistry, Belgium; Chemical Society of France, France; Society of German Scientists, Germany; Association of Greek Chemists, Greece; Association of Hungarian Chemists; Hungary; Italian Chemical Society, Italy; Polish Chemical Society, Poland; Portuguese Society of Chemistry, Portugal; Slovak Chemical Society, Slovakia; Swedish Chemical Society, Sweden; Swiss Chemical Society, Switzerland; Royal Dutch Chemical Society, The Netherlands; Norwegian Chemical Society, Norway. USA: American Chemical Society; American Institute of Chemists; American Institute of Chemical Engineers; Association of Analytical Communities; Canadian Society for Chemical Technology (CSCT). Biochemistry is also called biological chemistry where we the study of chemical processes within and relating to living organisms. Biochemistry is the branch of science that explores the chemical processes within and related to living organisms. It is a laboratory based science that brings together both biology and chemistry. Biochemistry mainly focuses on the processes that happen to takes place at a molecular level. It focuses on what is happening inside our cells and studying about the components like proteins, lipids and organelles. It also focuses on how cells interact with each other. Chemistry education is a term that refers to the study of teaching and learning of chemistry. Chemistry study is concerned with atoms as building blocks. Topics in chemistry education might include considerate how students learn chemistry, how to teach chemistry, and how to improve learning outcomes by altering teaching methods and suitable training by chemistry instructors, within many modes, including classroom lecture and laboratory activities. Chemistry conferences include many topics relevant to chemistry teaching and learning, such as chemical resources content, chemistry-related activities, laboratory experiments. A large number of ways to explain and exemplify how chemistry can impact day today life, including cooking, cleaning, healthcare, and many other things. Chemistry education is swotted as a visual and conceptual metaphor that was created to emphasize the need to situate chemical concepts, symbolic representations, and chemical substances and reactions in important contexts. The goal is to provide a resource for instructors wishing to learn about, adapt, and incorporate research-based materials and teaching strategies into their courses, hopefully with the goal of “doing better things” to create more effective learning environments to promote students achieving a deeper understanding of chemistry and developing appropriate science process skills. Some of the best practices are using chemistry education research to teaching strategies and design of instructional materials, research on problem solving techniques in Chemistry, active learning pedagogies for Chemistry Education and Chemistry Education through microscale experiments. Chemistry Education can be seen as the procurement of knowledge or ideas relevant to chemistry. It is concerned with the impartment of knowledge on properties, components, transformations and interactions of matter. Chemistry Education is a systematic process of acquiring the fundamental knowledge about the universe. Chemistry education is the vehicle through which chemical knowledge and skill reach the people who are in need of capacities and potentials for development. The concept of technological pedagogical content knowledge is introduced as a condition for the development of new educational materials on the net. New technologies involved in chemistry education are Design of dynamic visualizations to enhance conceptual understanding in chemistry, E-learning and blended learning in chemistry education, Wiki technologies and communities: New approaches to assess individual and collaborative Learning in chemistry laboratory, Smartphone applications for chemistry, Teaching chemistry in a virtual and augmented space. Clinical chemistry uses chemical methods to measure the amount of chemical components in body fluids. The most commonly used samples for tests are blood and urine. Components may include blood glucose, hormones, enzymes, electrolytes, lipids, other metabolic substances, and proteins. Following to this tests, some other techniques are also applied which includes the use and measurement of immunoassays, enzyme activities, spectrophotometry, and electrophoresis. Tests executed are closely monitored and quality controlled. These tests are being performed on body fluids, mostly on serum or plasma. This large array of tests can be categorised into sub-specialities of Clinical endocrinology, Haematology, Toxicology, Therapeutic Drug Monitoring. Electrochemistry is a discipline that deals with chemical reactions that involve an exchange of electric charges between two substances. Both chemical changes generating electric currents and chemical reactions triggered by the passage of electricity can be considered electrochemical reactions. Electrochemical cell consists of two half-cells where each electrode is in contact with electrolyte. Current flows through the electrodes due to the movement of electrons. Electrochemistry has a number of uses in industry. The principles are mainly applied to make electrical batteries. A battery is a device that stores chemical energy and makes it available in an electrical form. Batteries are made of electrochemical devices such as galvanic cells or fuel cells. Environmental chemistry encompasses the study of chemicals and chemical processes within the air, water, and soil. Environmental chemistry is more than just water, air, soil, and chemicals. People in this field use math, biology, genetics, hydrology, engineering, toxicology. Green Chemistry is nothing but use of chemistry techniques and methods that decrease to eliminate the use or generation of feedstocks, solvents, reagents, by-products, etc., that are hazardous to human health or environment. Green Chemistry is an approach to the synthesis, processing and use of chemicals that reduces risk to human health and the environment. Environmentally benign solvents have been one of the important research areas of Green Chemistry with great advances seen in chemical reactions. New catalytic processes continue to develop to advance the goals of Green Chemistry, while techniques such as microwave and ultrasonic synthesis as well as in situ spectroscopic methods has been broadly used, leading to spectacular results. Asia-Pacific: Chemical Society of Japan; Chemical Research Society of India; Japan Association for International Chemical Information; the Korean Chemical Society; the Chemical Society of Thailand. Forensic chemistry is a discipline of chemistry devoted to the analysis of various substances that might have been used in charge of a crime. Forensic chemistry encompasses organic and inorganic analysis, toxicology, and serology. Every method of analysis uses specialized techniques and instrumentation. The process may be simple by setting up a density gradient column to compare soil samples or complicated as using a mass spectrometer or neutron activation analysis to characterize an unknown substance. A wide variety of laboratory techniques and instrumentation are used in forensic studies. They include visible, ultraviolet, and infrared spectrophotometry; neutron activation analysis; gas chromatography and mass spectrophotometry; HPLC; and atomic absorption spectrophotometry. The techniques and instrumentation selected depends upon the type of sample or substance to be examined. Geochemistry is the division of Earth Science that applies chemical principles for understanding of the Earth system and systems of other planets. Geochemists consider that the earth is composed of discrete spheres like rocks, fluids, gases and exchange matter and energy over a range of time scales. Sub-disciplines which are active in the department include biogeochemistry, trace and elemental geochemistry, organic geochemistry, and metamorphic and igneous-rock geochemistry. Industrial Chemistry is the branch of chemistry which is mainly concerned with physical and chemical processes to transform raw materials into products that are of beneficial to the humanity. The Industrial chemist knowledge linkages in field of engineering, chemical processing, economics and industrial management. Industrial chemistry can be an industry that generates synthetic replacements for natural products. Industrial chemists are employed in various sectors of industry like petroleum, cosmetics, pharmaceuticals, paper, textile, water and waste water purification process and plastics. Issues may be problematic for an industry which includes controlling the processes of producing the materials and disposing of by-products generated. 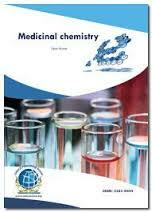 Medicinal chemistry deals with the design, optimization and development of chemical compounds for use as drugs. It is inherently a multidisciplinary topic — beginning with the synthesis of potential drugs followed by studies investigating their interactions with biological targets to understand the medicinal effects of the drug, its metabolism and side-effects. Medicinal chemistry deals with the design, optimization and development of chemical compounds for use as drugs. It is inherently a multidisciplinary topic — beginning with the synthesis of potential drugs followed by studies investigating their interactions with biological targets to understand the medicinal effects of the drug, its metabolism and side-effects. Nanoscience and nanotechnology are the study and application of extremely small things which are used across all the other science fields such as chemistry, biology, materials science, physics and engineering. Nanoscience is the study and manipulation of materials at atomic, molecular and macromolecular scales, where properties differ expressively at a larger scale. Nanotechnology is the characterisation, design, production and application of structures, devices and systems by controlling shape and size at nanometre scale. Understanding of physics and chemistry and processes at the Nano scale is relevant to all scientific disciplines, engineering and medicine, biotechnology, from chemistry and physics to biology, chemistry, automotive systems, aerospace and robotics. Materials chemistry involves the use of chemistry for the design and synthesis of materials with interesting or potentially useful physical characteristics, such as magnetic, optical, structural or catalytic properties. Natural Products Chemistry is a branch of chemistry which deals with the isolation, identification, structural elucidation, and study of the chemical characteristics of chemical substances produced by living organisms. Natural products are small molecules produced naturally by any organism including primary and secondary metabolites. They include very small molecules, such as urea, and complex structures, such as Taxol. They might be isolable in small quantities but having interesting biological activity and chemical structures, natural product synthesis stances an interesting challenge in organic chemistry. 9th World Congress on Green Chemistry & Technology, September 17-19, 2018 Amsterdam, Netherlands; 10th World Congress on Neuropharmacology, August 28-30, 2018 Paris, France; 6th European Biopharma Congress, September 18-19, 2018 Amsterdam, Netherlands; 17th Annual Congress on Pharmaceutics & Drug Delivery Systems, September 20-22, 2018 Prague, Czech Republic; 14th International Conference and Exhibition on Nanomedicine and Pharmaceutical Nanotechnology, April 09-11, 2018 Amsterdam, Netherlands; 5th International Conference on Organic and Inorganic Chemistry, July 28-29, 2018 Paris, France; 8th World Congress on Chromatography, September 13-14, 2018 Prague, Czech Republic; 9th World Chemistry Congress, July 23-24, 2018 Lisbon, Portugal; 9th International Conference and Expo on Separation Techniques, September 13-14, 2018 Zurich, Switzerland; 8th European Chemistry Congress, June 21-23, 2018 Paris, France. Nuclear chemistry is the discipline of chemistry which deals with radioactivity, nuclear processes, such as nuclear transmutation, and nuclear properties. It is the chemistry of radioactive elements such as the radium, actinides and radon together with the chemistry associated with equipment which are designed to execute nuclear processes. 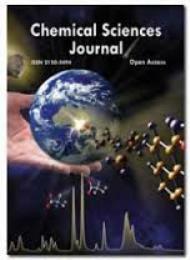 It comprises the study of the production and use of radioactive sources for a range of chemistry processes. Some of these include radiotherapy in medical applications; the use of radioactive tracers in industry, science and the environment; and the use of radiation to modify materials such as polymers. Food and Nutrition are the system that we get energy for our bodies. We must to substitute nutrients in our bodies with an innovative source on a daily basis. Water is a significant element of nutrition. Carbohydrates, Proteins, Fats are also essential. Preserving important Vitamins and Minerals are also significant to preserving good healthiness. For prenatal women and grownups over 50, Vitamins for instance Vitamin D and minerals such as iron and calcium are significant to deliberate after indicating foods to eat, as well as probable dietary supplements. Food chemistry is the science that deals with chemical composition of foods, with chemical structure and properties of food constituents, and with chemical changes food undergoes during processing and storage. Organic chemistry is a chemistry sub-discipline concerned about the study of the properties, structure, and reactions of organic materials and organic compounds, i.e., matter in various forms that contain carbon atoms. Organic reactions study includes their scope through use in preparation of target compounds by chemical synthesis, as well as the attentive study of the reactions of individual organic molecules, both in the theoretical and laboratory study. Organic chemistry includes the synthesis, analytical methods, structure determination, reaction mechanisms and kinetics, and spectroscopic methods. It also includes organometallic chemistry, where it deals with the study of carbon-based compounds that contain metals. It also includes stereochemistry where it deals with the relative spacial arrangement of atoms. 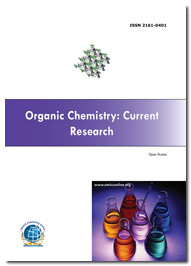 Methods of organic chemistry are heavily used in polymer chemistry, materials science and natural product chemistry. Inorganic chemistry is the study of the structures, properties, synthesis and reactions of compounds. Inorganic chemistry integrates the compounds both molecular and extended solids and overlaps with organic chemistry in the area of organometallic chemistry where the metals are bonded to carbon-containing ligands and molecules. Inorganic chemistry is important to many practical approaches including catalysis, energy conversion and storage. Petrochemistry is the branch of chemistry that studies petroleum and its derivatives. Petrochemistry is made of a mixture of different hydrocarbons. The most prolific hydrocarbons found in the chemistry of petroleum are alkanes, these are also known as branched or linear hydrocarbons. Additionally petroleum chemistry contains several more complex hydrocarbons called as asphaltenes. Industrial gases are a group of gases that are specially manufactured for use in industries, which include oil and gas, petro chemistry, chemicals, mining, steelmaking, metals, environmental pollution, power, medicine, biotechnology, food, water, fertilizers, pharmaceuticals, electronics and aerospace. Sustainable energy is the form of energy obtained from non-exhaustible resources, so that the provision of energy serves the needs of the present without compromising the ability of future generations to meet their needs. Physical chemistry mergers the principles of physics and chemistry to study the physical characteristics and properties of molecules. The study of Physical Chemistry generally involves using measurements, theories, and techniques either from, or more usually associated with, physics - to study, understand and explain chemical substances. Theoretical chemistry uses the basic principles to understand an array of physical and biological phenomena. Theoretical chemistry research ranges from investigation of electron transfer events to particle packing to understanding hydro dynamical fluctuations in biological systems. Theoretical chemistry is the sub-discipline of chemistry that practices classical mechanics, quantum mechanics and statistical mechanics to explain the structures and dynamics of chemical systems and to relate, understand, and foresee their thermodynamic and kinetic properties. Contemporary theoretical chemistry is coarsely divided into the study of chemical dynamics and the study of chemical structure. Plasma chemistry is the discipline of chemistry that explains the chemical processes in low-temperature plasma, including the law which governs the reactions in plasma and the details of plasma chemical technology. Plasmas are artificially created in plasmatrons at temperatures that range from 103 to 2 × 104 K and pressures that range from 10–6 to 104 atmospheres. The basic feature of all plasmochemical procedures is that reactive particles are generated in higher concentrations than in ordinary conditions of chemical reactions. The reactive particles that are formed in plasma are capable of effecting new types of chemical reactions; the particles include electrons, atoms, excited molecules, atomic and molecular ions, and free radicals. Plasma is a hot ionized gas comprising of about equal numbers of positively and negatively charged electrons. The characteristics of plasmas are different from those of ordinary neutral gases hence, plasmas are considered as fourth state of matter. Polymer chemistry is a sub discipline of chemistry that deals with the structures, chemical synthesis and properties, primarily synthetic polymers such as plastics and elastomers. Polymer chemistry is associated to the field of polymer science, which also incorporates polymer physics and polymer engineering. Scope of polymer chemistry consist of Novel synthetic and polymerization methods, mechanisms and kinetics, advanced characterization of polymer, Synthesis and application of novel polymers in medicine. The chemical industry is vital to economic development and wealth creation, supplying modern products, materials and technical solutions across the European economy. With 1.2 million workers and sales of €519 billion (2015), it is one of the largest industrial sectors and a leading source of direct and indirect employment in many regions. According to the European Chemical Industry Council (CEFIC), chemical output in the European Union rose by a paltry 0.4% year over year in 2016. Chemical prices fell 3.6% for the year. Lower pricing and modest output growth also hurt chemical sales which slipped 3% during the first eleven months of 2016. CEFIC sees modest growth of roughly 0.5% in chemical output in 2017. Global chemical production (excluding pharmaceuticals) will probably grow by 3.4% in 2017, the same pace as 2016 (+3.4%). We anticipate a marginally higher expansion rate in the advanced economies (2016: +0.9%, 2017: +1.1%). Growth in the emerging markets will presumably weaken somewhat (2016: +5.4%, 2017: +5.1%). The global growth rate of the chemical market will be largely determined by developments in China, which accounts for more than a third of worldwide production. There, the upward trend may continue to slacken but producers in China are nevertheless likely to contribute more than two percentage points to worldwide chemical industry growth. Chemical production in the European Union is expected to barely grow faster than in 2016. In general, the increase in production will remain modest against the backdrop of a sluggish domestic market. We expect competitive pressure on export markets to remain intense, even though the naphtha-based European chemical industry benefits more from low oil prices than the gas-based production in the United States. The EU chemical industry ranks second by sales, a whisker ahead of the United States. Including non-EU countries, total European chemicals sales reached €615 billion in 2015, or 17.4 per cent of world output. A study of EU chemical industry competitiveness commissioned by Cefic from Oxford Economics (2014) blamed high energy prices, currency appreciation, high labour costs, and regulatory and tax burdens, among other things. Oxford Economics found that R&D intensity, energy prices and exchange rates strongly shaped competitiveness. By 2030, world chemicals sales are expected to reach €6.3 trillion in 2030. In 2015 Norway’s chemical, oil refining and pharmaceutical industry had sales of NOK 137.2 billion (€14.5 billion), of which NOK85.4 billion were exports (62.2%). The sector employed 14,000 full-time equivalents, and generated NOK 33 billion (€3.4 billion) of added value. Official statistics treat chemicals, oil refining and pharma as a single industry. In Norway, Chemical plants are chiefly located along the coastline, close to hydroelectric power plants and deep, ice-free harbours. There are some local concentrations of chemical and other process industries – sometimes in industrial parks or in clusters operating across regional borders. International companies dominate the chemical and other process industry in Norway.